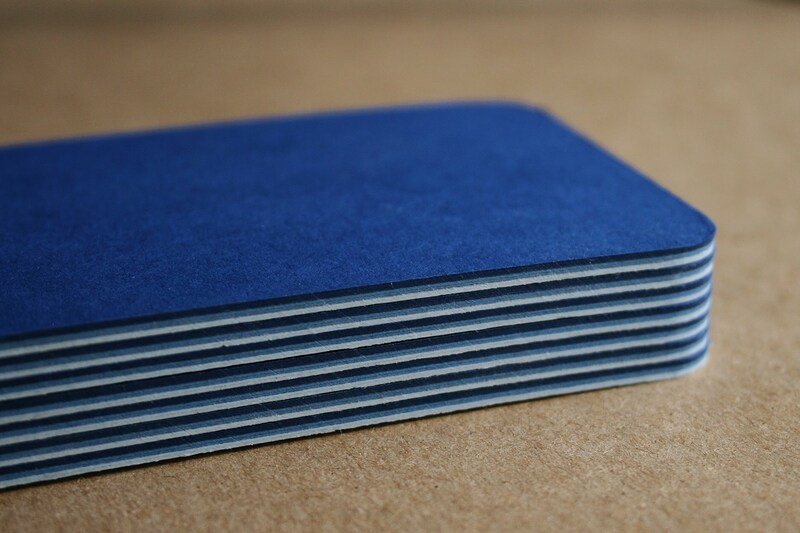 When your stationery project arrives at EdgeWorks Studio, it may need trimmed to size before moving on to the next phase of the finishing process. With our state of the art equipment, we can ensure consistency and accuracy from start to finish. Some projects require round corners. 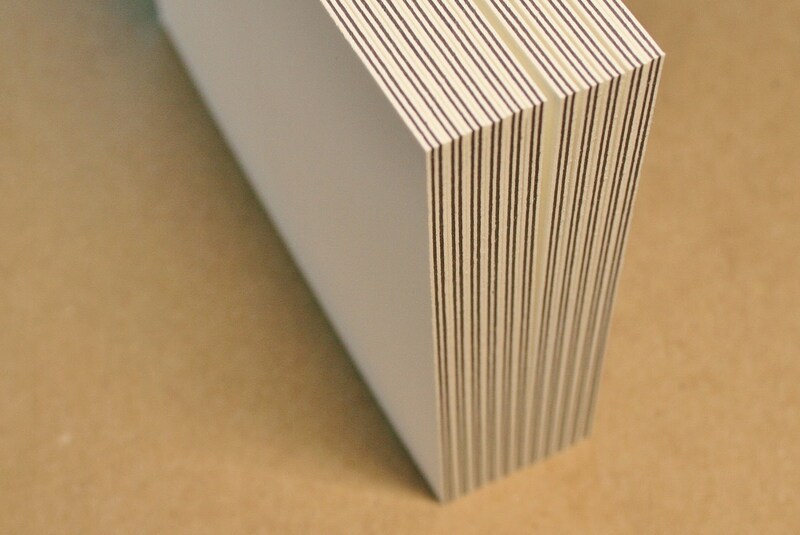 At EdgeWorks Studio, your luxury stationery design can be finished with a 1/4” radius, 3/8” radius, or a 1/2” radius round corner. Letterpress Printing is the world’s oldest form of printing. The process is a form of relief printing that utilizes a printing press and an inked plate to create multiple impressions of a design. With its exquisite, tactile sensibility, letterpress raises the caliber of custom stationery design from ordinary to extraordinary. Foil Stamping is a printing process that involves the application of metallic foil onto the surface of paper by way of a heated die. The resulting lustrous surface created by foil stamped designs is the epitome of sophisticated grandeur. With a large variety of foil colors and sheens to choose from, you are certain to find the perfect match to showcase your stationery project. Why stop at edges? 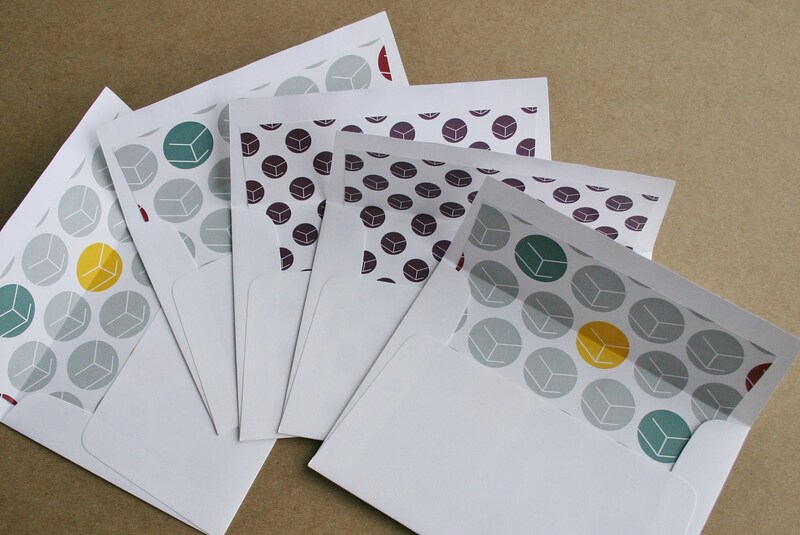 Our Envelope Lining Service is the perfect compliment to your stationery suite. We love working with your interesting, multi-piece designs. From wedding suites to holiday cards – our artisans are experienced in assembling unique, one-of-a-kind luxe stationery projects.